As my work journeys into creating abstract portraits, I’ve been continuing with my theme of children. Saying children are a theme almost makes it sound like they are a frivolity, a bit like choosing which dressing to put on your salad! It can be tough to express why certain things resonate with us. 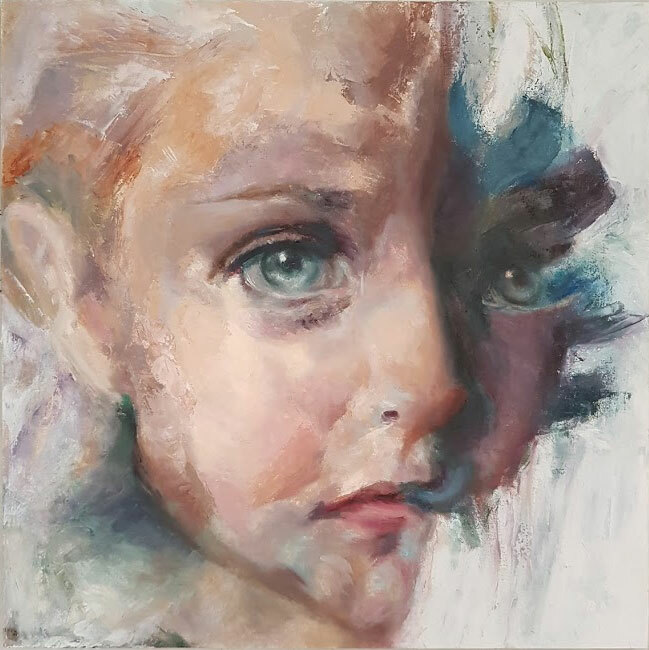 The main reasons I paint children are highly personal but what I can tell you is that when I paint them, they find their way into my veins, filling me with ideas and stories I want to paint, which is the lifeblood for an artist. So simply said, painting children inspires me deeply! 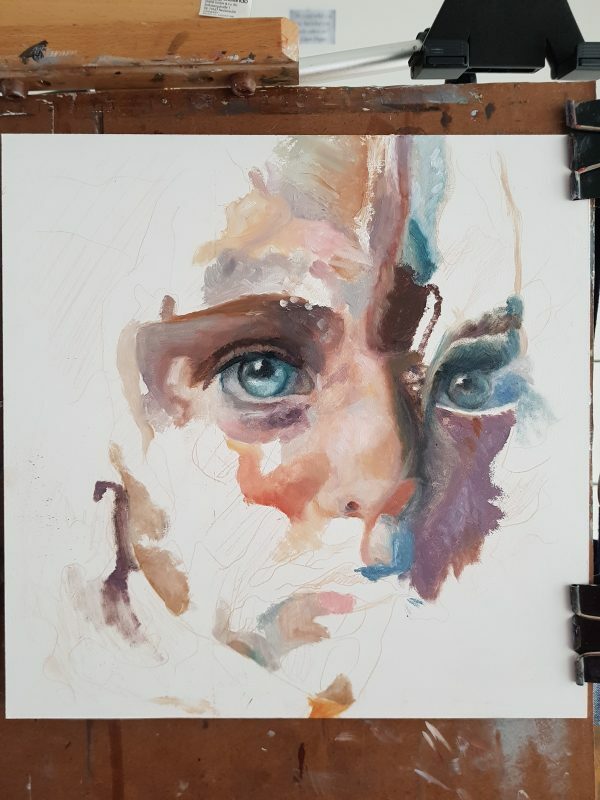 The process of creating an Abstract Portrait allows me to explore a wider narrative and gives me the perfect opportunity to get poetical with paint. Its the perfect way for me to get descriptive and expressive. So for me instead of just painting a realistic face, I also get to say here’s who the person is and how they make us feel. So here are some early shots of Ephemeral when she’s clipped on to my easel. I have some rough outlines and shapes already marked on my board before I start with the oil paint. These initial marks help me get an early feel for the movement and patterns within the painting. It was highly tempting to say she was finished in these early stages. There’s something so attractive about facial fragments. However, I wanted to stay as true as possible to my original ideas. My inspiration for this particular abstract portrait was the contrast of light and dark in her personality. Both sides are beautiful and enhance the other. Can’t stop looking at it.